Broad Peak is the expansion to the game K2. 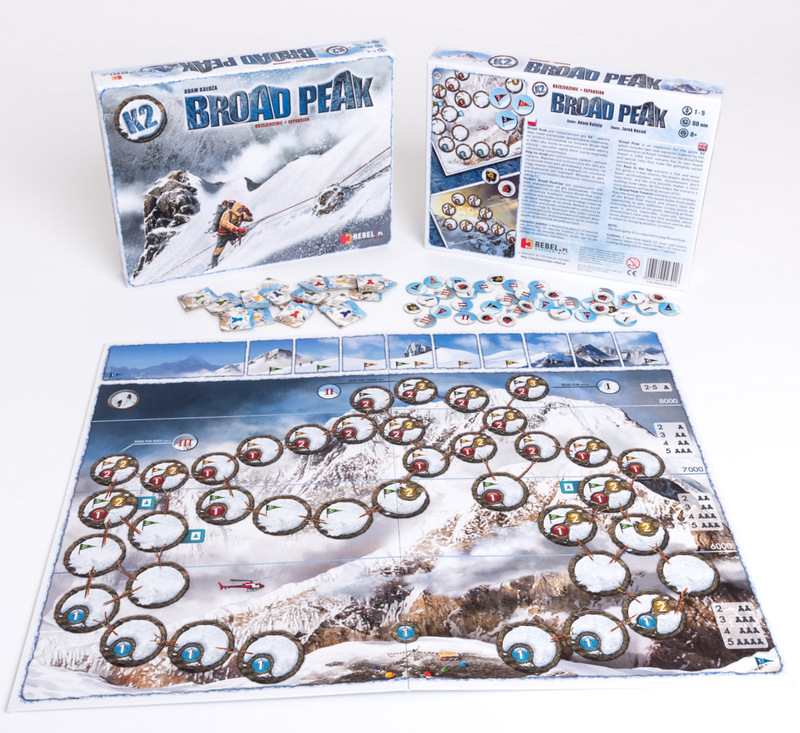 Broad Peak gives you two very different challenges to undertake, which are based on historical achievements made by Polish mountaineers on Broad Peak in 1984. 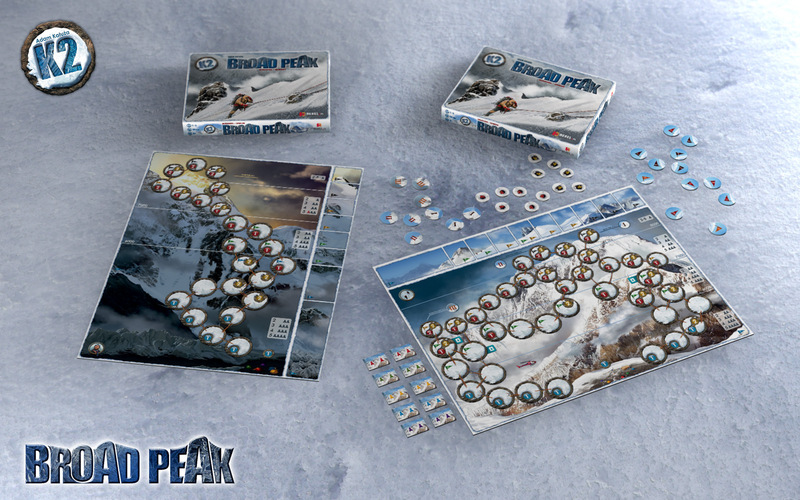 Both have their own boards and a few rules changes to make them individual game experiences. 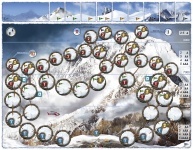 First is “Race to the top,” a very quick and exciting game. 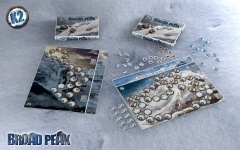 This expedition is three days shorter; there are no tents and much less acclimatization cards in the deck. 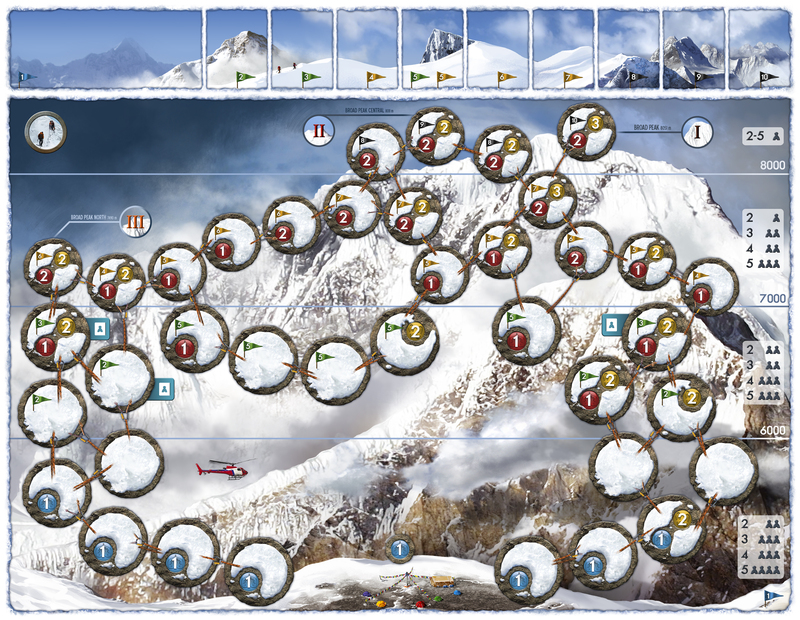 Also, there are fewer places to climb, so it is a much more tense and quicker version of the K2 base game. 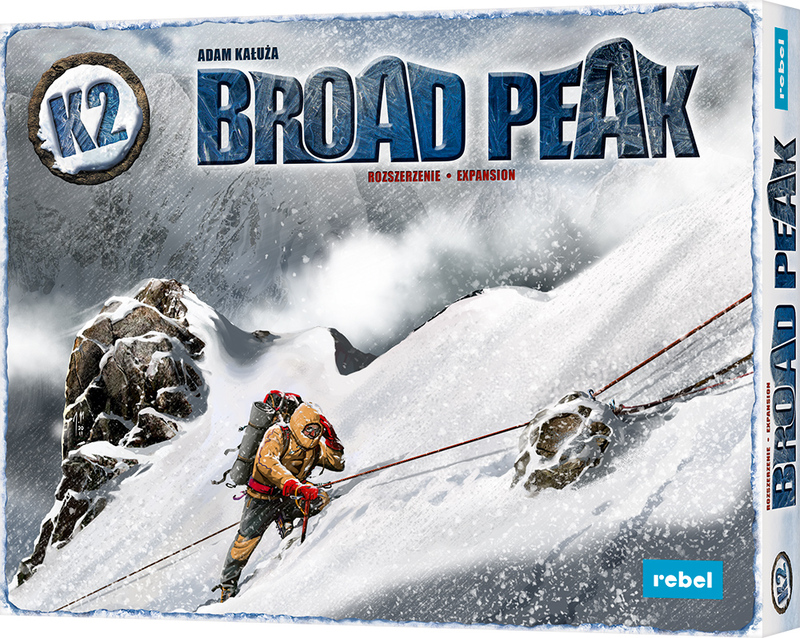 Second, “Traverse of Broad Peaks” is more strategic and a little longer than the base game. 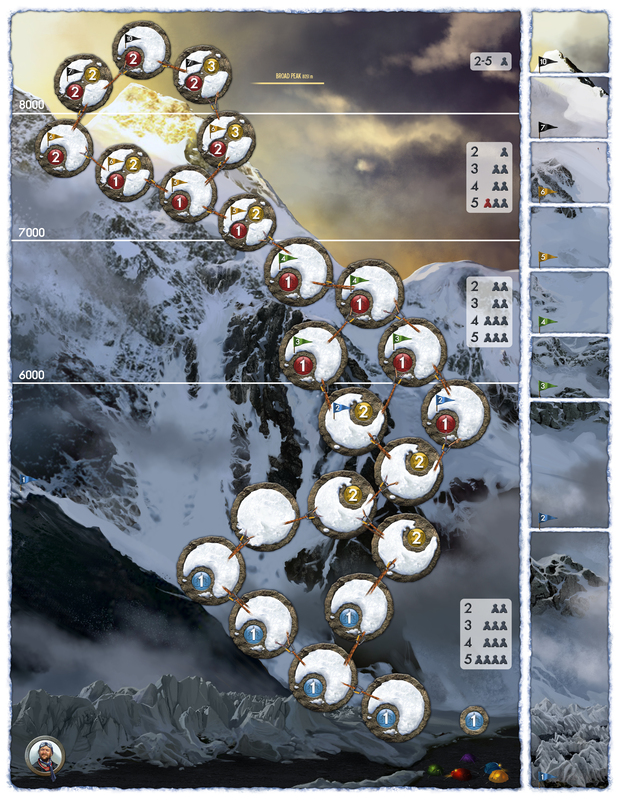 The board shows three tops of Broad Peak. 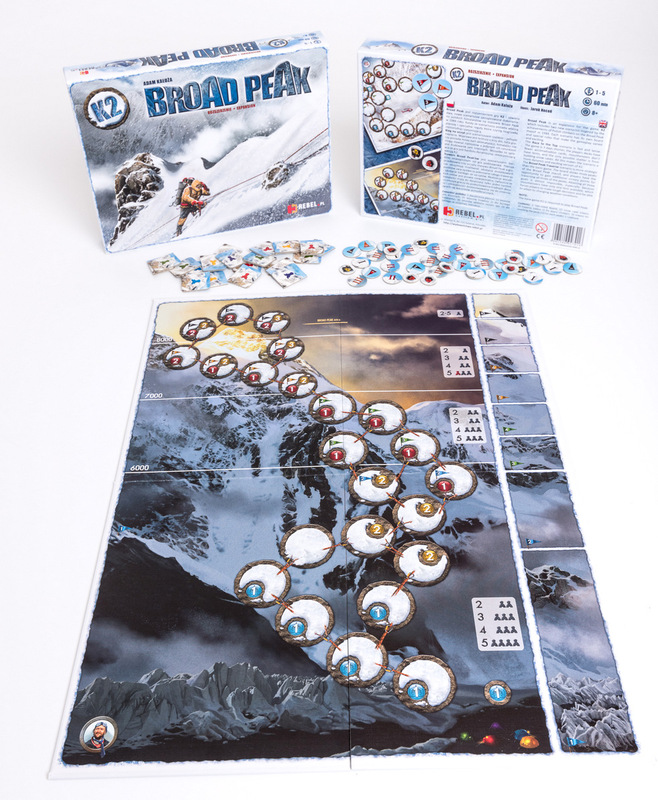 Mountaineers can get additional victory points for traversing the whole mountain and for summiting each of the three peaks. It is very difficult to do all these things, especially since the climbers have only one tent with them. 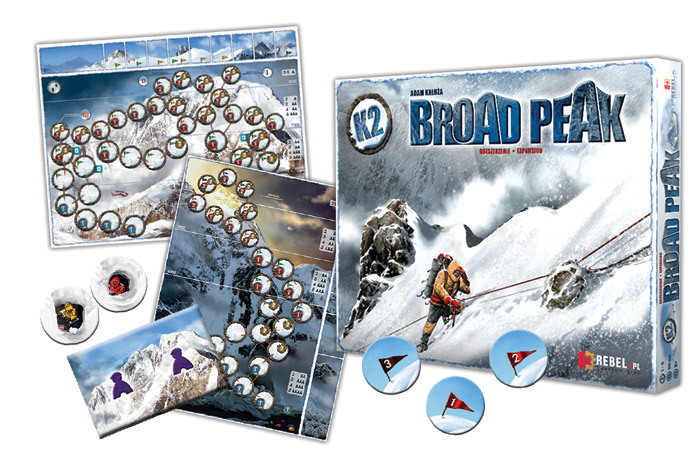 The expansion includes one two-sided board, tokens and rules, so the K2 game is needed to play Broad Peak.